Rugs enhance the aesthetic appeal of your house interior. But what if they have unattractive stains and give off a bad smell? Won’t they damage the indoor air quality and ruin the appearance of your home? Wool Rug Cleaning Company saves you from hassles and offers 100% satisfaction via our professional service. When it comes to vintage, antique rugs, it’s crucial to opt for products and techniques that don’t ruin the valuable rug. Our clients are like family to us and we understand what our family needs! Our rug cleaning process not only cleans dirty rugs, but also ensures that it doesn’t lose its fabric or colors. Our team possesses the expertise to wash your antique carpets and rugs with care. We have developed an 8-step process to effectively remove dirt and debris from the floor coverings. We inspect rugs to identify spots and stains. Then the air dusting process gets rid of dry dust. Next, the fabric is tested to ensure it doesn’t lose its dye during the washing process. Once satisfied, we carefully wash the rug before rinsing it. The next step is to dry the rug at optimal heat. Our professional team thoroughly inspects the washed rug before delivering it to your doorstep to make sure that it is sparkling clean. Antique rugs are delicate and need careful handling, which is why we refrain from using washing products and equipment that can damage them. We use cleaning techniques that go well with the particular weave, dye, and fiber of every individual rug. This way, we are able to keep our customers happy and satisfied. 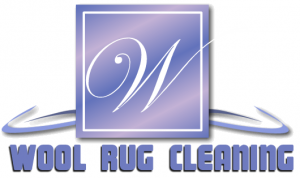 Wool Rug Cleaning is one of the best rug cleaning services in Florida. Our valuable customers are the top priority for our company and we strive to provide them with an experience that they always remember. We are just a call away. Contact us at (305)335-6769 to get further information about our antique rug cleaning service!